Farrar, Straus and Giroux (BYR), 9780374380601, 40pp. What exactly is it like outside when Mom isn’t around? Are there . . . scary wolves? When a little boy ventures out of the house with his mother, he’s in for the fright—and the adventure—of his life! 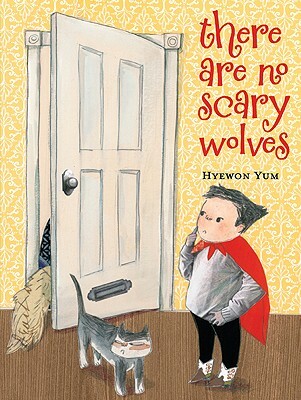 Reality and make-believe collide in this new picture book by acclaimed author and illustrator Hyewon Yum, with results that are fantastically adorable, disarmingly funny, and utterly unique. Hyewon Yum's wordless picture book, "Last Night," was declared "stunning" and "joyful" in a starred review by "Publishers Weekly." She was born in South Korea and received her master of fine arts at the School of Visual Arts in New York City. She now lives in Brooklyn, New York.